And they wonder why retail is dying. Fail! Desperate and stupid pricing. 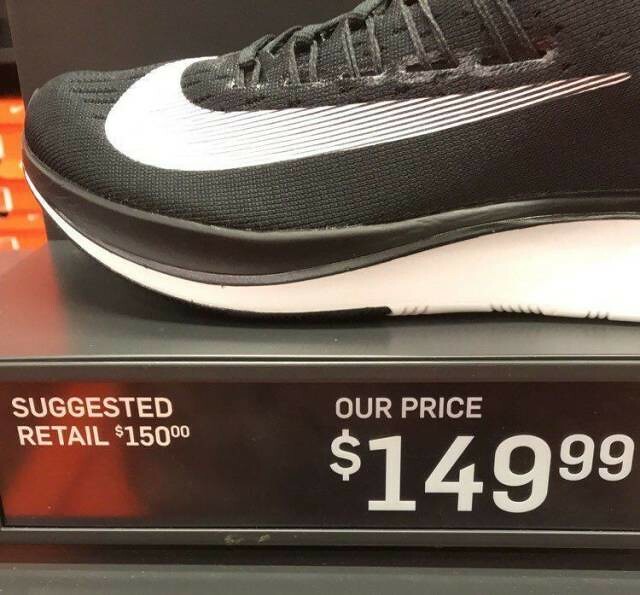 That discounted price is only valid if you have the store discount card that allows them to track every purchase you make so that they can market you better. The last time I had to fill out an application for a store discount card, I used a fake name, made up a fake phone number and email, and gave an address that would be in the middle of a river if it existed. That kind of substantial saving makes me want to jump up and … Ah, no. So, for a buck fifty it was made not in China but … Mexico? A home goods store in our area (shall remain nameless) that sends coupons for $5 off any item over $15. Their average price for most desirable items is $14.99.